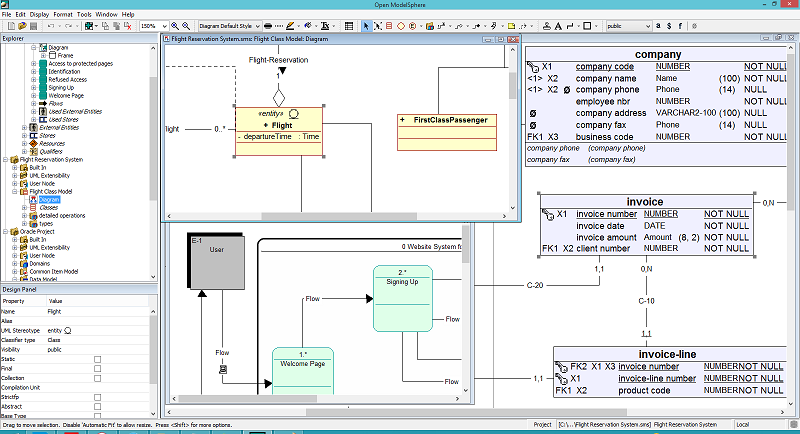 Open ModelSphere is a powerful data, process and UML modeling tool - supporting user interfaces in English and French. Designed to be platform-independent, Open ModelSphere was created as a 100%-Java application. Having been developed as a commercial software by Grandite over several years, Open ModelSphere has become a professional and mature product that is supported by an experienced community of software architects and engineers who want you to benefit from the product and share their expertise with you. Open ModelSphere is released under GPL (GNU Public License) version 3. It is free software that you can download, use, copy and modify free of charge. Be invited to join the community, as a user or as a developer. For your convenience, Grandite offers a wide range of premium plug-ins and premium services around Open ModelSphere.